Delicate and masterful, Helen Shanahan’s five-track follow up to her 2013 Telstra Road To Discovery ‘Songwriter Of The Year’ win is a blissful expose of contemporary folk music. The Perth artist has explored every avenue on her third release to ensure each layer is appropriate and each track is well positioned aiding the flow and progressive build of Finding Gold’s groove. The EP kicks off with Across The Sea, a smooth track built on simplistic rhythm allowing Shanahan’s comforting and engaging voice shine amongst sporadic and enjoyable lead fills. 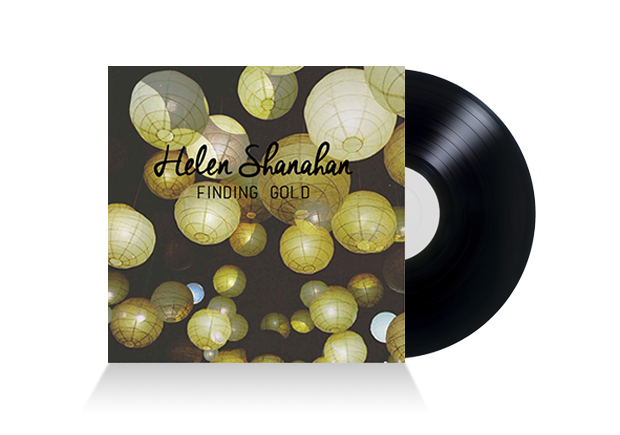 Title track, Finding Gold, is the hit Shanahan has been looking for, incorporating a choir into an already beautiful sound as Jon Clements’ lead guitar tone once again aids the transition of ambience. Slowing down the EP upon its conclusion, Windmill is relaxing with a consistent beat and folk-pop vibe, removing other predominantly acoustic elements and instead focusing on Shanahan telling its story. This EP is a flowing gem that is a brilliant kick-starter for Shanahan to move forward and grow from, as her own blend of folk music expands.